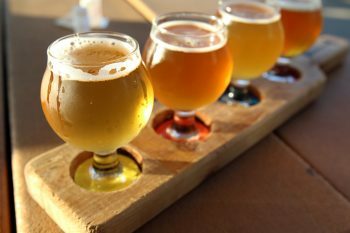 As craft beers and spirits go, a pillar of cool culture has surrounded them in swift a rise to stardom. Brooklyn stands tall among them, a collection of reimagined warehouses spinning something like magic into their bottles. Brooklyn’s devoted craft beer and spirits scene has made it to the big leagues. 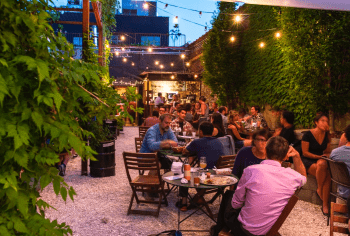 This fall, enlighten your taste buds and weekend aesthetic with a trip to the borough’s hippest breweries and distilleries. Tasting rooms are (almost) the new adult pumpkin patches, and these are sure to put you in the spirit of the season. Savor the flavor: that’s how Brooklyn Kura owners Brian and Brandon have approached their American craft sake, and with overwhelming success. Instead of knocking it back (as is typically considered the way to drink sake), hang out in the whitewashed minimalist space for a while and relish in the soft citrus, melon, and cacao hints in Brooklyn Kura’s chilled glasses. Pair your aromatic drinks with charcuterie, cheese, or fried fava. Brooklyn Cura is located at 68 34th St, Brooklyn, NY 11232. Get here: Take the R train to 36th Street. You’ve heard of farm-to-table dining, but what about grain-to-glass distilling? Enter Kings County Distillery, operating out of the Brooklyn Navy Yard and a leading distiller of bourbon, moonshine, and American whiskey. Support sustainability and taste the clean, autumnal flavors made with New York corn and malted barley that tumble into every sip. It is a sliver of Kentucky wrapped up in Brooklyn, and will welcome you in the same embracing way. Kings County Distillery is located at 299 Sands Street, Bldg 121 Brooklyn, NY 11205. Get here: Take the A train to High Street, or the B62 bus. Daric Schlesselman opened the doors to the Van Brunt Stillhouse six years ago, less preconceived notions and armed with his inventive palate. Using urban farming techniques to pull out the rich flavors of the ryes, malts, and grains, you can enjoy their award-winning American whiskey, bourbon whiskey, and rum. Hang out in their cocktail tasting room for specials like their Moongarita, and look out for seasonal menu rotations. Van Brunt Stillhouse is located at 6 Bay St, Brooklyn, NY 11231. Get here: Take the G train to Smith-9th Street, or the B57 bus. Luna Park might be gradually shutting its doors for the season, but Coney Island still beckons with gorgeous Coney Island Brewery right along the MCU Park. 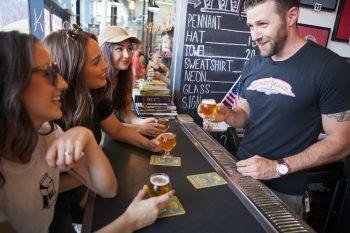 Once America’s smallest brewery, their products reflect the vivacity and dreamy, time-stopping elements of Coney Island through craft flavors like Mermaid IPA and Kettle Corn Cream Ale. From September 17-22, stop by and celebrate Freak Week with fall ales and nightly festivities. Coney Island Brewery is located at 1904 Surf Ave, Brooklyn, NY 11224. Get here: Take the F train to Coney Island. 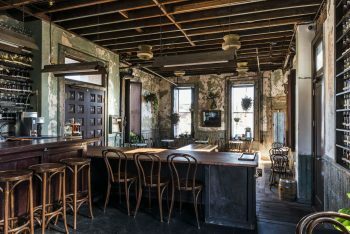 A paradigm of craft, modesty, and warmth, Threes Brewing in Gowanus dazzles without, as they say, screaming for your attention. With names like Categorical Error and Other Ephemera, though, your curiosity will keep you ensnared in their menu offerings. 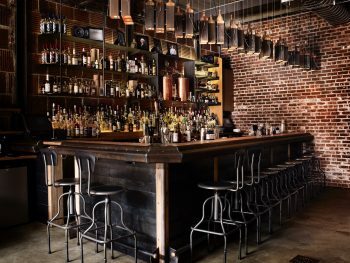 With outdoor and indoor seating, eats from The Meat Hook, a coffee shop, and space for live music and cultural performances, a night out suddenly took on convenience, too. Threes Brewing is located at 333 Douglass St, Brooklyn, NY 11217. Get here: Take the G train to Fulton Street, or the N/R train to Union Street. Williamsburg’s acclaimed Brooklyn Brewery is a longtime favorite, and it’s easy to see why. From their traditional Brooklyn lager to the fermentation of their Tripel Burner beer in wine barrels to bring out the fruity notes, an exciting and unprecedented tasting awaits. The brewery revels in the success of helping guests pinpoint their drink of choice: so, get cozy among the ample seating space and industrial string lights, and discover the brew that speaks to you. 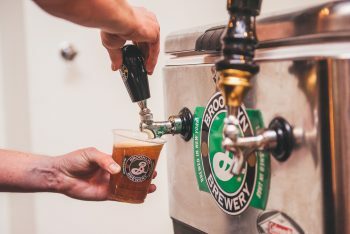 Brooklyn Brewery is located at 79 N 11th St, Brooklyn, NY 11249 . Get here: Take the G train to Nassau Avenue. Somebody loves you in Copenhagen… at least, that’s what the cherry wine barrel-fermented ale at Other Half Brewery will tell you. 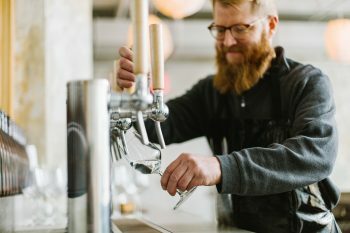 The concept of constant collaboration with other local breweries means that you can taste two halves of a delightful whole at the Other Half Brewery. In the tasting room, dive headfirst for a Party Booster IPA, or escape to the misty edges of fall with Cascade + Galaxy, a dual hop sure to wow you with its traditional and progressive notes. Other Half Brewery is located at 195 Centre St, Brooklyn, NY 11231. 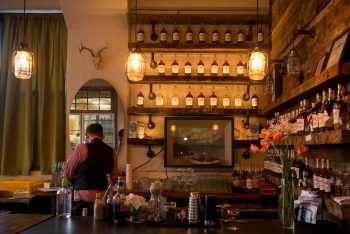 Between New York Distilling Company’s tasting room and next-door sister cocktail bar, the Shanty, come and be enveloped by the glow of gin and good company. 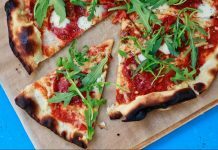 They’ve honored the memory of Americans of the unconventional, gritty, inspiring, and faithful persuasions through New York State grains and rye and contemporarily blended bright flavors. If you’re itching for a new hobby, try out one of their rye-blending or cocktail-making classes before or after settling into a seat and swig. New York Distilling Company is located at 79 Richardson St, Brooklyn, NY 11211. 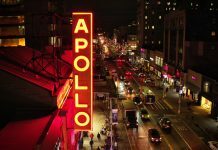 Get here: Take the G train to Metropolitan Avenue. Still thirsty? 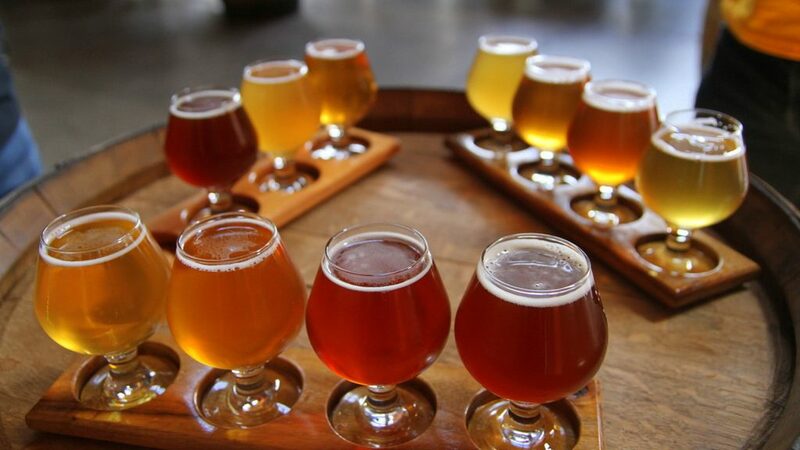 Check out our brewery guides for Queens and Long Island. Threes Brewing courtesy of Matt Furman, Brooklyn Kura courtesy of char-co.com, Brooklyn Brewery courtesy of Roger Ho, Other Half Brewery image by Melanie Fidler. Kings County, Van Brunt Stillhouse and New York Distilling Company images courtesy of the respective brewery and distillery. Lindsay is a new New Yorker, having grown up in Boston and lived in Dublin for a bit. Her soul is half mountain, half skyscraper, and she is moved by the breathless wonder of cultures and landscapes that make up the mosaic of our planet. Writing has been her passion since she was a little girl, and she still has dreams of becoming a ballerina someday. 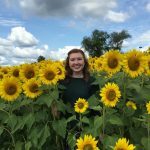 She loves cycling, donuts, art museums, and toting her camera everywhere. Find her blogging at ontherogueagain.com.